ON SALE: $47.02 - Join Rewards Get $2 Dance Dollars On This Item! Look ultra cool in this 2-piece costume set. 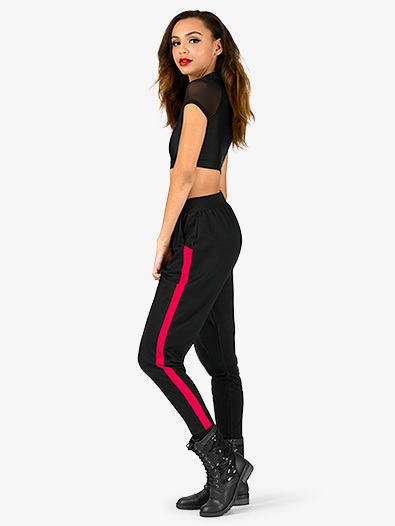 Set includes: a short sleeve crop top with mock neck, and mesh sleeves, and a functional zipper that can be worn in the front or back; and harem sweat pants featuring a stretchy waistband, front pockets, and red side panels. Does not include pictured accessories.